Is this the most ingenious 50-foot motor cruiser in the world? Alex Smith considers the merits of the new Galeon 500 Fly. 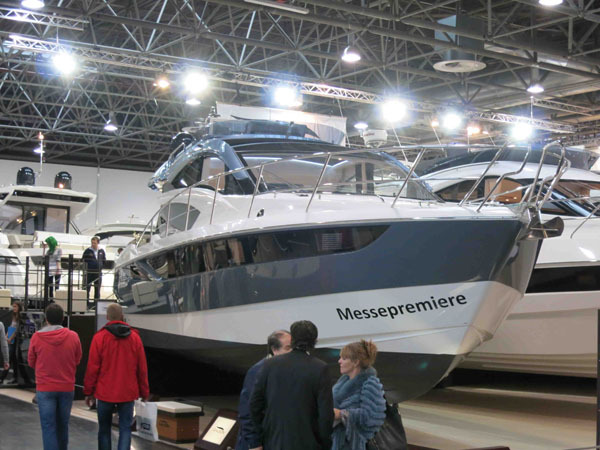 We’ve seen plenty of entertaining stuff at major boat shows over the last few years from this highly rated Polish yard (see Galeon 300 Fly review and Galeon 430 Skydeck review), but in the form of its new 500 Fly, Galeon appears to have brought together more of its innovations on a single platform than ever before. See for yourself with Alex Smith's First Look Video filmed at Cannes Yachting Festival. Builders are always trying to conjure up ways of enabling the saloon to reach out into the external spaces without barrier or intrusion – but the solution of the Galeon is far more effective than any approach I have seen. 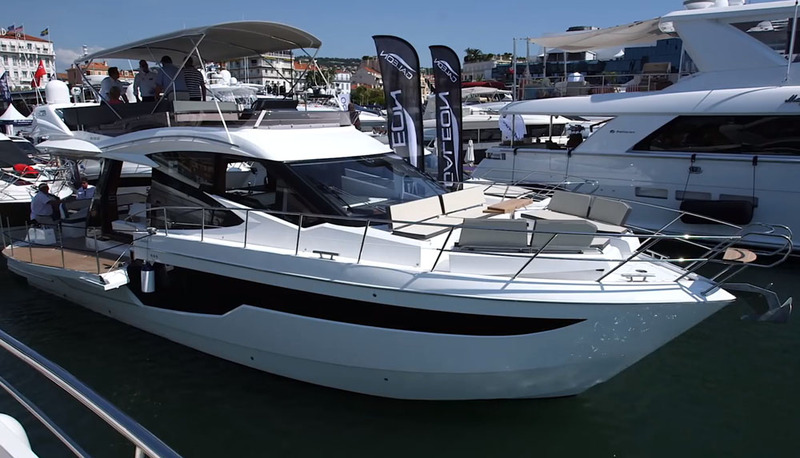 No other 50-foot flybridge cruiser can equal the Galeon for versatility. For a start, the window sections at the aft end of the superstructure slide forwards on both sides. On the starboard side, that enables you to reverse the backrest on the long lateral bench seat and face out towards the sea instead of in towards the saloon. On the port side, it enables you to extend the galley out onto the side deck, transforming it into a very attractive alfresco bar. A couple of removable stools can then be rigged to provide a great place to rest up with a drink and commune with the interior guests. 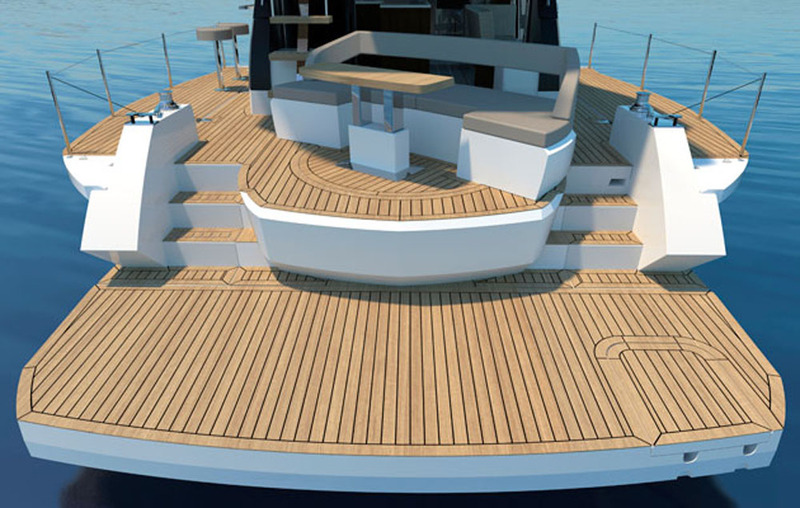 This alone would be enough to cause excitement, but the value of these features is maximised by the fact that the bulwarks drop outwards to create a pair of balconies, expanding the beam in this aft section to 20-feet – and on a 50-foot cruiser, that’s an extraordinary asset. With helm seat rotated, the entire saloon is a single unbroken party area. 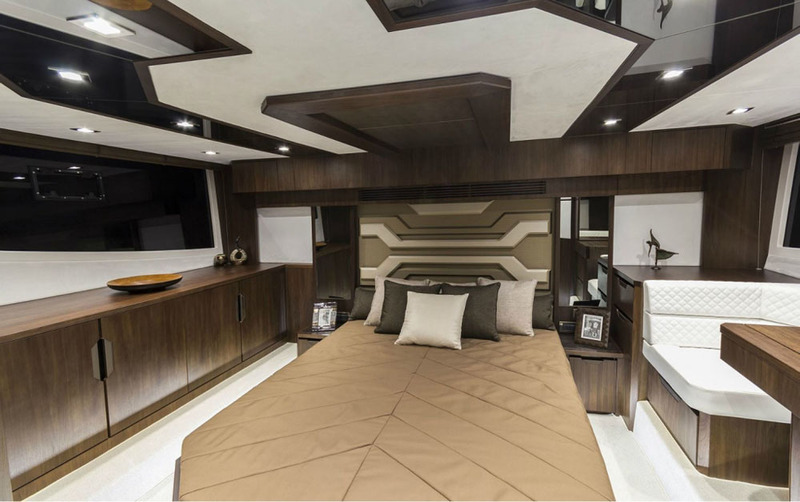 Step through the wide open doors from the saloon to the aft deck itself and you are greeted with similar ingenuity. The central pod, with its shallow C-shaped bench seat and table, rotates on its base to face in any direction you choose. Of course, when we viewed the boat, discussions were still ongoing about the technical method necessary to organise an umbilical that could cope with the power demands of an integrated galley, as well as the physical demands of the rotation. A final answer had yet to be found, but the concept itself is full of merit and, to this point at least, very soundly executed indeed. The helm is a great space for lots of very compelling reasons. For a start, the general quality of finish and ergonomic clarity are both excellent. The dash has also been lowered to enable a much more expansive view from a decadent seated position and (remarkably) the screen is formed of a single piece of glass, with no stanchions or uprights to obscure your view. There is also a large window on your right shoulder that drops away entirely - and when the driving part of the day is done, the helm bench simply rotates on an offset axis with the smoothest and most reassuring of clunks. Within two seconds, you are fully involved in the party, facing the rest of the diners in the forward part of the saloon and all without having to abandon your station. You might forgive Galeon for taking the foot off the pedal at the bow. After all, what we tend to see are a couple of man-sized lounging cushions, flapping away on foredeck poppers. But here, you have three elevated seating sections with a central table. An electrically operated system enables this deck equipment to close ranks at the press of a button and while it takes a few seconds, what this does is transform the communal bow unit from a seven-man dining station into a raised two or three-man sun lounger. The 500 Fly is cleverly conceived in a great many ways. However, it’s important to note that in addition to all the clever gadgets, there is some genuine quality on show here. In fact, to put it into its proper perspective, I viewed this debut craft at the Cannes Yachting Festival, directly after inspecting Riva’s prestigious new 88 Florida - and I can honestly say that on the basis of a direct comparison between the two craft, the quality of finish from the Polish builder is at least the equal of the more illustrious Italian shipyard and in many ways, it is superior. 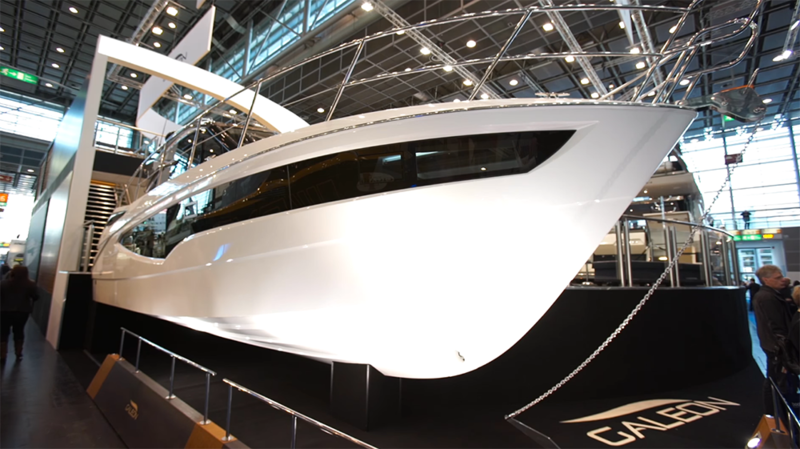 In terms of both ingenuity and execution, therefore, the Galeon 500 Fly is a real credit to the people who created it. 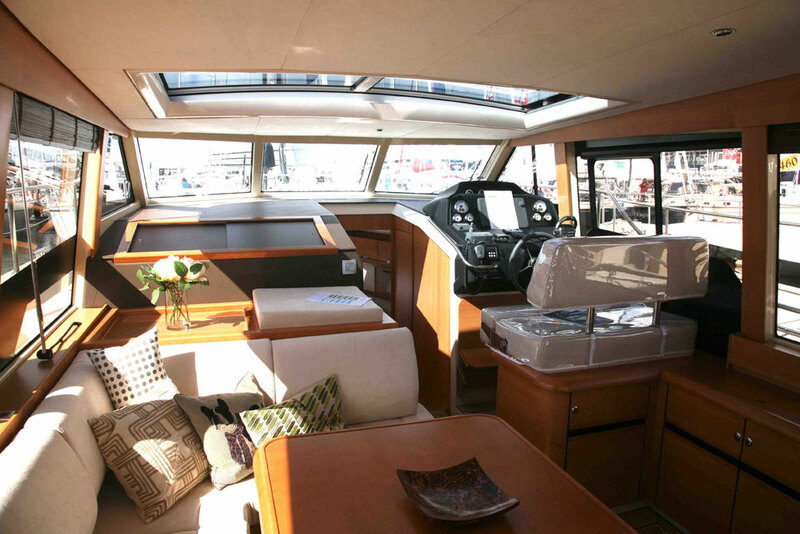 The flybridge is fairly sensible and commonplace in relation to the rest of the boat. It comes with a large forward sun platform, a port helm that backs onto a wet bar and a dining section to starboard that can be made into extra lounging space by means of a couple of reversible backrests. It’s a very effective example of its type, but if you want to increase the ingenuity quotient up here too, Galeon’s brilliant ‘Skydeck’ configuration (with a smaller fly, further aft and lower down) is also available. 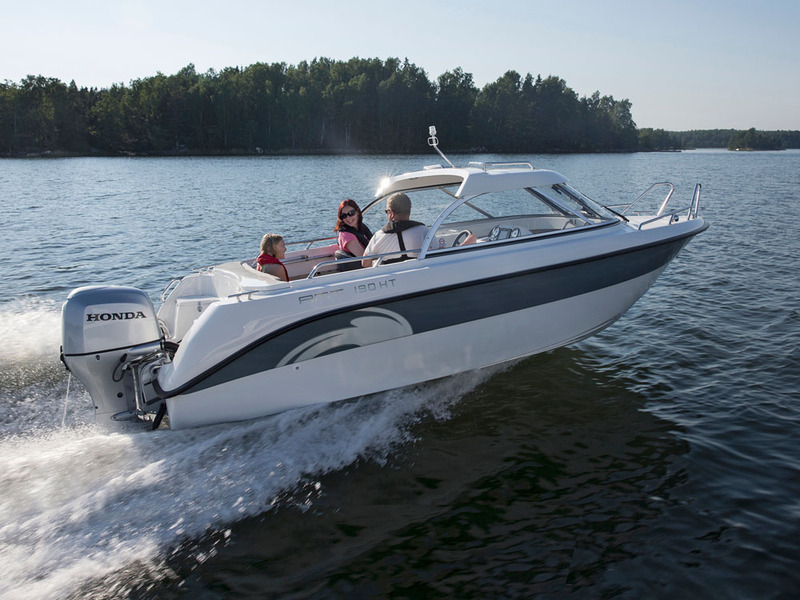 The quality throughout the Galeon 500 Fly is first rate. It is difficult to believe that such a bold design can actually be purchased ‘off the shelf’, as a standard platform for sensible money. 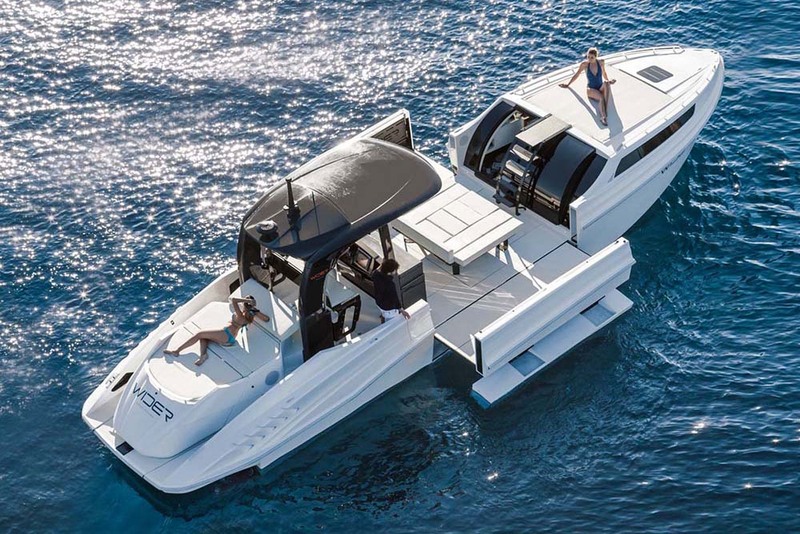 Of course, we have yet to see how she drives, but even at this stage, the overwhelming body of evidence suggests that the 500 Fly is one of the world’s most exciting mainstream boats. From its multifaceted superstructure, which seems to ‘explode’ into the outside world to the dining set-up on the bow and the brilliantly inclusive helm position, this is a fantastic piece of design, a beautiful palette of solutions and a delightfully engineered boat. 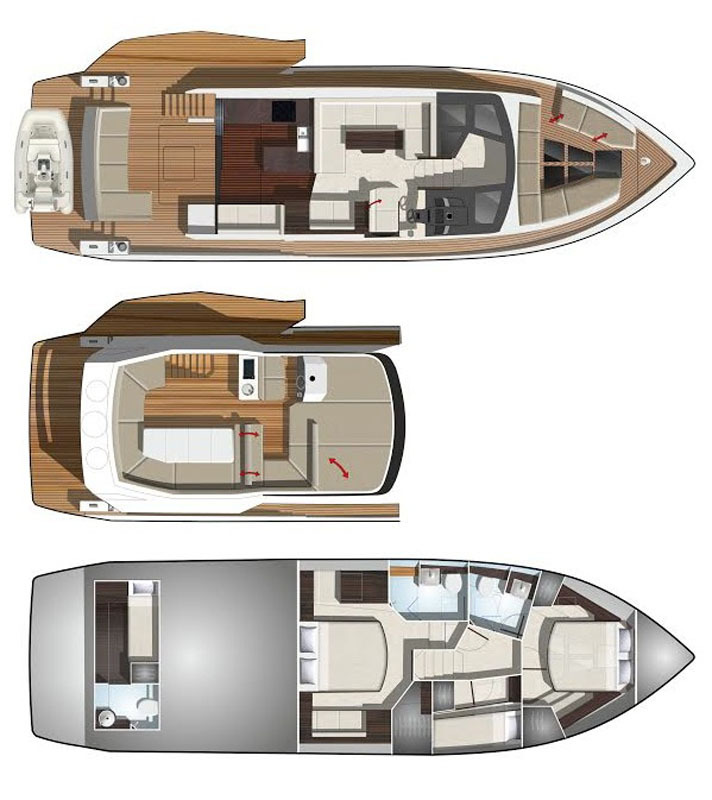 If I were in the market for a 50-foot flybridge, the Galeon would be my first (and quite possibly my only) port of call. This three-cabin flybridge cruiser is at the very top of its game. 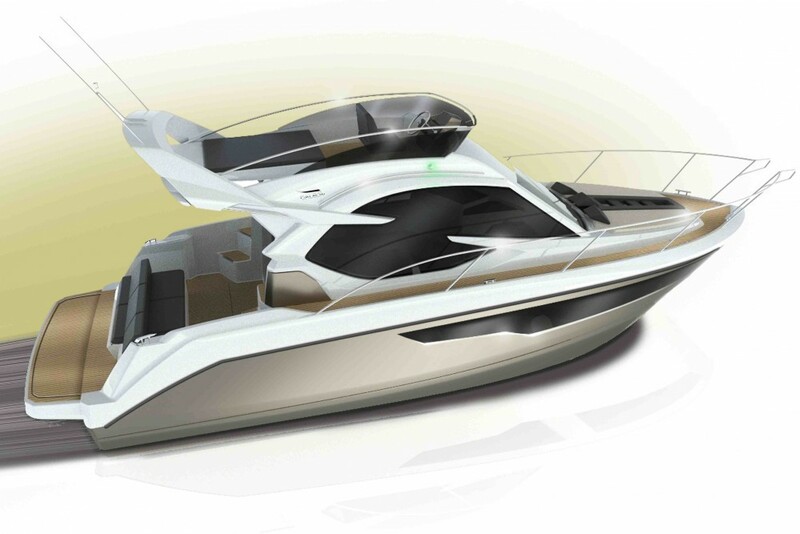 For more Galeon reviews on boats.com, see: Galeon 300 Fly review: outstandingly original and Galeon 430 Skydeck: intriguing new concept.